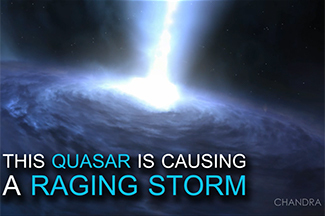 Recent discoveries and updates of the Chandra mission in video and audio formats. 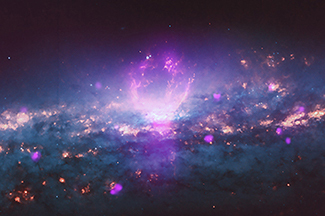 The galaxy NGC 3079, located about 67 million light years from Earth, contains two "superbubbles" unlike anything here on our planet. 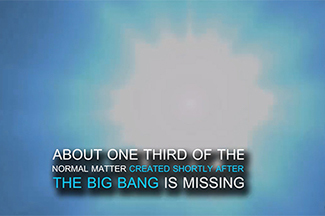 Astronomers have used Chandra to possibly identify the location of a third of the normal matter in the Universe created in the first billion years or so after the Big Bang. -- Where is the Universe Hiding its Missing Mass? Q: What Space Shuttle was Chandra launched on? A: Chandra was launched on NASA's Space Shuttle Columbia on July 23, 1999. 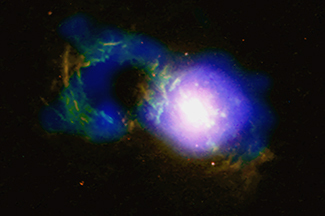 Q: How high does Chandra orbit? A: Chandra flies more than 1/3 of the way to the moon! 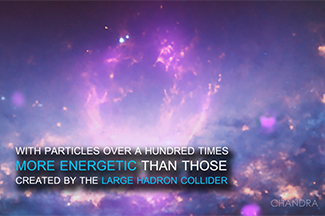 Q: How quickly can Chandra move from one target to the next? A: Chandra can move more slowly than the minute hand on a clock.